DNV GL is the leading technical advisor to the global oil and gas industry, enabling safer, smarter and greener operations in every hydrocarbon-producing country in the world. The company partners with its customers and the oil and gas industry to promote progress. From creating gas distribution networks for growing cities to extending the lives of oil platforms in mature oil fields and assuring the performance of new pipelines, DNV GL’s 5,500 exceptional industry experts have tackled complex challenges at every stage of the asset life cycle. Through world-class marine and onshore technical assurance, advisory and risk management services, the company helps customers to perform on time, on budget and to high quality standards, often in the most demanding environments. United by its vision to create a safe and sustainable future, DNV GL works to drive the sector forward by collaborating with industry partners to define internationally recognised practices, standards and systems. In September 2013, DNV and GL Noble Denton joined forces to bring greater expertise and enhanced innovation capabilities to their customers. The companies formed DNV GL because they had a vision to draw upon their proud heritages to build an industry leading technical advisor that could drive innovation and standardisation on behalf of the whole sector. DNV GL is now the leading provider of risk management, technical advisory and technical assurance services to the oil and gas industry. The company is an innovation powerhouse, with the technical skills, scale and scope to tackle the industry’s most complex challenges. It is a strong and independent third-party advisor that is also working to promote greater transparency in the industry by developing, setting and sharing new standards. It is also an expert service provider, dedicated to helping customers to achieve safer, more reliable and enhanced performance in their projects and operations. DNV GL’s unparalleled investment in innovation, its global network of technical experts, and its focus on developing solutions for even the most complex industry projects allows the company to deliver a broad portfolio of technical services that covers every stage of the oil and gas lifecycle, from project planning to asset decommissioning. From onshore pipelines to oil and gas processing facilities, subsea production structures and deep water floating platforms, DNV GL calls on its decades of technical expertise to support the industry in its goals to improve safety, reliability and performance. The company also produces more than 170 sector-leading standards and recommended practices that support and promote overall industry safety and growth. An acute shortage of skilled professionals is affecting every area of the oil and gas industry’s development. As DNV GL’s customers focus on increasing their standards of global delivery, it is critical that they partner with a trusted, independent and globally consistent source of support and expertise. DNV GL meets that need head-on, offering access to more than 5,500 exceptional technical experts with a passion for solving the most complex technical safety, reliability and performance challenges in projects and operations. The company’s global network of experts includes the industry’s forefront specialists in every major operational area, from subsea and floating production platforms, semi-submersible rigs and pipelines, to receiving terminals, and even national and city gas distribution networks. Customers tell DNV GL that they choose to partner with the company because its people work hard to understand their needs, and deliver the highest standards of expertise to match. DNV GL invests in developing the competencies of its employees, helping them to stay at the cutting edge of their technical fields through internal and industry qualification and training schemes, as well as technology programmes with academic partners, such as the University of California at Berkley. This enables DNV GL’s people to develop further their core competencies, and ensures consistent global delivery across its services. DNV GL supports the oil and gas industry’s leading players in identifying and controlling risk, enhancing safety and performance, and assuring reliability and efficiency at every stage of a project’s development and operation. Whether the company is providing independent technical advice on a single engineering challenge, or delivering entire risk management services for a global portfolio of oil and gas assets, its focus is on supporting customers every step of the way. DNV GL offers access to more than 5,500 oil and gas industry technical experts around the world. It has offices in 39 countries and a presence in every hydrocarbon-producing country. To find an office near you, please visit the company’s website or use the contact details below. To help the oil & gas industry get more value from QRA reporting, DNV GL has launched a new online quantitative risk assessment service called MyQRA. MyQRA provides an interactive dashboard allowing a view of project and asset risk results in ways not possible in a static QRA report. Statoil has awarded contracts to DNV GL for verification of all four topsides, the three bridges, three of four jackets, topside installation by use of the Allseas single lift vessel Pioneering Spirit and extended site assessment for the jack-up. 40 years of standardisation paves way for cost-efficient offshore pipeline systems. Gothia Power, a leading Swedish power system analysis company, has been acquired by DNV GL. DNV GL has launched a recommended practice (RP) that allows operators to choose thermoplastic composite pipes instead of steel or traditional flexibles, enabling substantial cost reductions throughout the project lifecycle. DNV GL is launching two CFD joint industry projects (JIP) to meet the industry's need for more cost efficient and precise decision support. Both JIPs are still welcoming new participants. DNV GL, the leading technical adviser to the oil and gas industry, today published the first industry standard providing guidance on offshore personnel transfer by gangway. Lack of properly assessed and defined wear limits for jacking systems can lead to significant downtimes with financial implications for jackup operations. DNV GL, supported by leading global industry players in the jackup industry, has established a joint industry project (JIP), to provide guidelines on determining relevant wear criteria for self-elevating units. OG21 today received the DNV GL study of technologies that should be developed for year-round oil and gas production at 74° North in the Norwegian Barents Sea. New licenses are due to be awarded in this area as part of the Norwegian 23rd licensing round. DNV GL is conducting the oil and gas industry's largest ever controlled release of carbon dioxide from an underwater pipeline at its full-scale Spadeadam Testing and Research Centre, located in Cumbria, UK. DNV GL has now launched a recommended practice (DNVGL-RP-C210) providing the first international guidance on how to establish a sound basis for in-service inspection planning for fatigue cracks in marine structures. The guidance will save operational costs by using a risk-based approach to identify the 'hot spots' requiring inspection. DNV GL is now leading a common industry project on behalf of the Norwegian Oil and Gas Association that aims to enhance energy management, energy efficiency and the exchange of experience and expertise between companies even further. In response to growing market demand, DNV GL has launched a new service specification for functional safety certification. The recently implemented EU Offshore Safety Directive1 is now mandatory and requires identification of major environmental incidents (MEIs) and the associated safety and environmental critical elements (SECEs) 2. Sand production and erosion can have significant financial and safety consequences for both production and assets, estimated by experts to run into tens of billions of dollars annually. Now DNV GL has developed industry guidance to enable operators to develop a strategy for optimising the production rate, while at the same time safely managing the sand production and thereby potential erosion damage. Many pieces of rotating equipment are operating below optimum capacity, affecting production costs, revenues and resulting in unexpected down time. DNV GL has been working together with operators to help unlock the potential of their existing rotating equipment. Sustainability is now firmly on the global business agenda, but there is an urgent need to turn words into action. This is a key conclusion in the independent report; 'Impact - Transforming Business, Changing the World' prepared by DNV GL on behalf of the United Nations Global Compact. Reducing expenditure while continuing to improve safety and reduce risk is a key driver for the oil and gas industry especially in today's cost-constrained environment. DNV GL and ExproSoft are now joining forces to offer a risk-based approach to testing barrier valves in subsea completed wells applicable worldwide. The objective is to reduce both downtime and risk related to shut-in and restart of wells in addition to substantial cost savings. 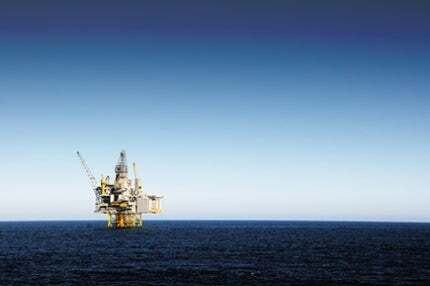 DNV GL, the leading technical adviser to the oil and gas industry, today launched a research paper exploring the viability of moving offshore oil and gas processing subsea, including the techno-economics of an 'all subsea' solution. The report addresses current limitations, but also highlights opportunities for subsea technology. Accurate allocation measurement results are a key financial and commercial driver for E&P companies. Yet despite limited evidence of the performance of Coriolis and ultrasonic flow meter technology, they are being increasingly deployed for single phase oil flows contaminated with water or natural gas. DNV GL has initiated a joint industry project (JIP), now open for industry partners, E&P companies and manufacturers to join, to assess the capability and feasibility of the meters. The board of directors of DNV GL Group has appointed Remi Eriksen as the company's new group president and CEO. He is succeeding Henrik O Madsen, who is retiring on 1 August. 2014 was the first full financial year of the DNV GL Group AS (DNV GL) following the merger between DNV and GL. DNV GL, the technical advisor to the oil and gas industry, has been awarded another offshore pipelay surveillance contract by Statoil to monitor quality assurance throughout the installation campaign. The new turbidity and discolouration modelling tool in DNV GL's Synergi Water software now uses the most advanced calculation methods available to increase performance. Addressing wellhead fatigue issues and proving sufficient margin for drilling operations has been a growing challenge for the oil and gas industry over the last decade. Wellhead fatigue can have significant technical, financial and safety implications for the system. In close cooperation with industry partners, DNV GL is addressing this issue through an ongoing joint industry project (JIP). This has resulted in a new recommended practice (RP) addressing the structural loading of offshore well systems. DNV GL Korea, the technical advisor to the oil and gas industry, has been awarded a technology qualification (TQ) contract with Korea Gas Corporation (KOGAS) for a FEED Package for a 5mtpa onshore LNG liquefaction plant based on the innovative KSMR™ liquefaction process. DNV GL study analyses current regulatory regimes, outlining possible future developments and DNV GL's recommendations to reduce the risk of major accidents. With lower oil prices and smaller margins, good project management is more important than ever, yet operators are often challenged when moving from field development projects into the operational phase. DNV GL has therefore developed a framework and roadmap for planning operations. This will support smaller operators in the transition from exploration to production to ensure a safe and cost-efficient operation. Amid low oil prices, pressure is growing to find industry wide solutions which can reduce costs. The documentation demanded today for subsea operations is time-consuming, complex and costly to deliver. Now a DNV GL-led joint industry project (JIP) involving twenty industry players has made a major step forward in addressing this global industry with the first issue of a Recommended Practice. FMC has chosen DNV GL to perform independent third party verification of a high-pressure, high-temperature (HPHT) subsea completion, production and workover system. FMC is running this project as a joint industry programme (JIP) with Anadarko, BP, Conoco Phillips, and Shell, to aim at product standardisation and cost-efficiency. Steel forgings are important building blocks for subsea components and are often tailored to meet end-users' specific requirements. This results in long delivery times and repeated follow-ups throughout the supply chain. Advanced dynamic positioning (DP) vessels can now meet critical safety regulations while gaining operational flexibility, efficiency and cost savings through new design and monitoring methods. Across the oil and gas industry, life extension of assets and infrastructure is an increasingly important issue for operators as they look to balance the integrity, safety and productivity of the asset. To reflect the changing needs of the industry, DNV GL has worked together with its industry partners to update two recommended practices (RP). The first for corroded pipelines (DNV-RP F101) and the second for integrity management of submarine pipeline systems (DNV-RP-F116). In the face of falling oil prices, confidence in the outlook for the oil & gas industry in Asia Pacific has dropped dramatically by 50 percentage points among sector professionals - from 77% to 27% since October, according to new research published today by DNV GL. New report reveals nearly half plan to decrease headcount as confidence falls by more than 60%. The US oil and gas industry's mix of measures balance cost control with long-term efficiency gains. Designed to tackle rising costs even before the oil price hit record lows, the actions contribute to the US' favoured position as investment destination. 'Knee-jerk' reactions to the falling oil price as confidence drops by more than 37% in just three months. Faced with the rapid decline in oil price, confidence in the outlook for the oil and gas industry in 2015 has dropped steeply in Brazil from 65% to 29% since October, according to new research published today by DNV GL. In the face of falling oil prices, confidence in the outlook for the oil and gas industry in Australia has dropped dramatically by 66 percentage points among sector professionals from 84% to 18% since October, according to new research published today by DNV GL. In the oil and gas process industries, accurate simulation and assessment of logistics operations are essential to improve efficiency. With the latest release of DNV GL's Maros software for reliability, availability and maintainability, a new and more powerful simulation engine can model the full supply chain in a RAM study. The completion of a joint industry project (JIP) to improve existing standards and regulations around subsea lifting operations has resulted in a new recommended practice (RP). The future of EU-China relations, the country's investment in Europe and sustainable growth and environmental protection in the Chinese economy were just some of the topics on the agenda at the sixth Hamburg Summit last weekend. With the oil and gas industry's push into new energy frontiers, the offshore pipeline industry is faced with greater technical challenges relating to pipelines and the expectation that it will optimise solutions to be cost-effective. DNV GL is launching three new joint-industry projects (JIPs) to help the industry address these challenges. Sea spray icing is one of the major challenges when operating in Arctic conditions. DNV GL is now launching an industry collaboration that will develop a simulation model that bridges functional winterisation requirements and real physical conditions for drilling rigs, production platforms and vessels. The subsea industry is challenged by the high cost levels, complexity and low predictability of quality control requirements throughout the supply chain. The UN Environment Programme's (UNEP) Climate Technology Centre and DNV GL have announced a new strategic partnership that aims to accelerate global development, transfer and deployment of climate change mitigation and adaptation technologies to developing countries. Aker Solutions has awarded DNV GL a global frame agreement to pave the way for better technology collaboration, more efficient project execution and considerable cost savings. In the first comprehensive overview of its kind, DNV GL has mapped out what is necessary to be in compliance with US Coast Guard (USCG) requirements to operate FOIs, FSOs and FPSOs in US waters. In order to better understand the consequences of an accidental liquefied natural gas (LNG) release, DNV GL has been asked to initiate a joint industry project (JIP) in collaboration with E&P companies and LNG market stakeholders. Some 650 dignitaries, customers and industry stakeholders recently joined leading ship classification society and risk and sustainability service providers DNV GL at a night to remember in Hamburg. Eni Norge has awarded DNV GL a framework agreement for the supply of inspection services to the Goliat platform in the Barents Sea. The documentation needed within the international subsea industry to ensure regulatory and operational compliance has grown considerably. Preparing and maintaining the relevant documentation is time consuming, complex and costly to deliver. Further, requirements differ significantly between the major operators. DNV GL is proposing a new concept that combines mature water injection technology with the newest developments in offshore wind power to achieve more cost-effective enhanced oil recovery (EOR). DNV GL is proposing a new hybrid power concept for offshore units, using batteries in combination with traditional power generation equipment. Fatigue loading on subsea wellhead systems from riser and rig motions has been subject to increased attention in recent years. In an effort to enhance how the offshore industry is carrying out wellhead fatigue assessments, 16 operators are now progressing with the second phase of a joint industry project (JIP).